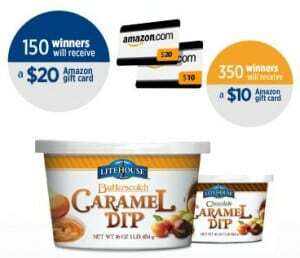 Click here to visit the Litehouse Dip site and fill out the form to enter their sweepstakes. 515 lucky winners will score a free Amazon.com gift card ranging from $10 to as high as $510. You’ll have until November 30th to enter this one. Good luck!